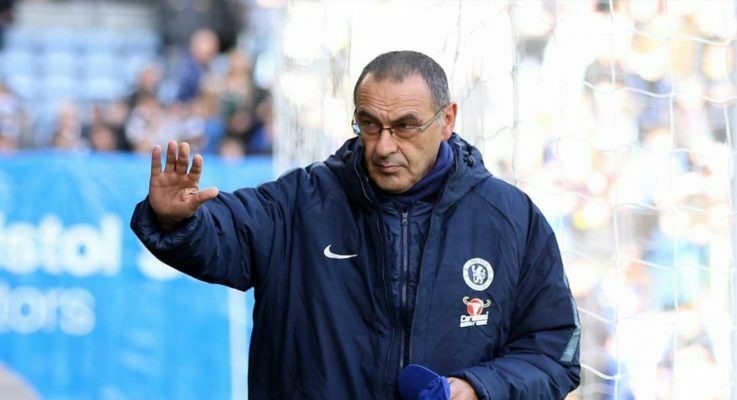 Italian Serie A giants AS Roma are plotting a summer move for Chelsea manager Maurizio Sarri according to widespread reports emanating from the British media. Maurizio Sarri is under a lot of pressure at Chelsea and AS Roma could capitalise on his situation at Stamford Bridge. According to the publication from popular media outlet Goal, AS Roma will target Sarri as their next manager if Chelsea sacks him. AS Roma are looking for a permanent manager after Eusebio Di Francesco was sacked earlier this month shortly after the Italians were eliminated from the Champions League. Portuguese champions FC Porto booked a quarterfinal place in the Champions League after a 4-3 aggregate win over AS Roma. FC Porto had lost the first leg of their last 16 tie 2-1 before they managed to overturn that deficit in the second leg at home with the help of extra time. Roma have appointed experienced manager Claudio Ranieri as the interim manager until the end of this season. The Italians would be hoping that Sarri is free from his three-year contract at Chelsea by the summer. Sarri became the Blues manager last summer after compatriot Antonio Conte was sacked. He’s under pressure at Chelsea with the Blues struggling to make the top four places on the Premier League table. Chelsea manager Maurizio Sarri could take over at Italian Serie A giants AS Roma next season after he was made their number one managerial target. This is according to the publication from trusted Italian news outlet Corriere dello Sport which claimed that the Blues manager has replaced Antonio Conte as their top managerial priority this summer. AS Roma are looking for their next permanent manager following the sack of Eusebio Di Francesco. Former Chelsea manager Claudio Ranieri is a boyhood AS Roma fan and the Italian manager is in temporary charge of the team until the end of the season. Ex-Blues boss Antonio Conte left Chelsea in controversial circumstances last summer and he has been without a managerial job since then. Earlier reports claimed that Conte is the favourite to take the AS Roma job this summer but he has been overtaken by Sarri who succeeded him at Stamford Bridge. Maurizio Sarri has struggled to reach the expected heights from both the Chelsea hierarchy and the club’s fans. The pressure on ex-Napoli boss Sarri heightened at the weekend when his Chelsea side lost 2-0 to Liverpool. The Reds won their first game in seven league matches against Chelsea with two second half goals from Sadio Mane and Mohamed Salah. 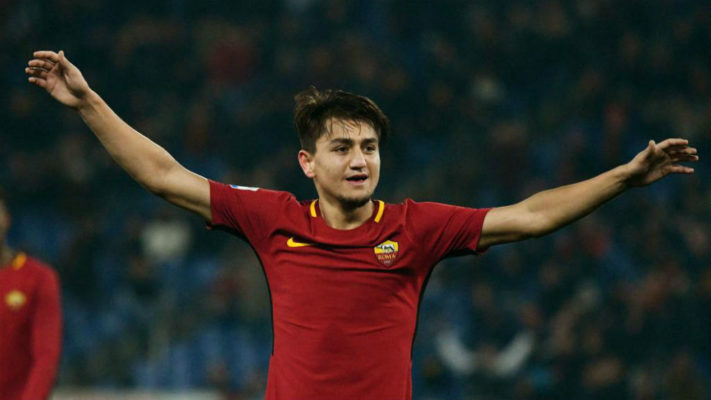 The Latest report have hinted that Italian Serie A outfit AS Roma have now made a U-turn over an earlier stand to keep Cengiz Under at the club as they are now reportedly ready to sell. Cengiz Under has been on the radar of the Arsenal team for a long period of time with efforts made in the last January transfer window to snap him up but the Serie A outfit insisted that the player is not for sale. Now, it is claimed that they are now ready to part ways with the star player but on the condition that they will meet with the £36 million asking price, according to reports in Italy. The Gunners will, however, have to battle German Bundesliga outfit Bayern Munch for the player who has been tipped to have a great future. Bayern Munich are hoping to land Cengiz Under as a replacement for Frank Ribery and Arjen Robber who is set to leave the stage because of their age. It is therefore unclear if the North London outfit will win the race for Cengiz Under as they might not have the financial capability to do so after claims that manager Unai Emery will be handed just £40 million for the summer market. Former Chelsea manager Claudio Ranieri began his managerial reign at Italian Serie club AS Roma with a win after guiding the capital club to an important victory over Empoli on Monday night. Roma defeated Empoli 2-1 at home in their Italian Serie A clash with both goals coming in the first 33 minutes of an eventful game. Italian international winger Stephan El Shaarawy scored the first goal of the new Roma managerial tenure of Claudio Ranieri after he gave his side a ninth-minute lead. The lead lasted for just three minutes before Empoli equalised after AS Roma defender Juan Jesus put through his own net. The hosts regained the lead on 33 minutes through Czech Republic international Patrick Schick who has now scored three goals in 18 league appearances. AS Roma were reduced to ten men in the second half with ten minutes left to play after the dismissal of Alessandro Florenzi but they were able to preserve their lead until the end of the game. Claudio Ranieri was confirmed as the AS Roma manager last week. He was appointed the club’s manager until the end of this season. His appointment came just days after his dismissal at Fulham. 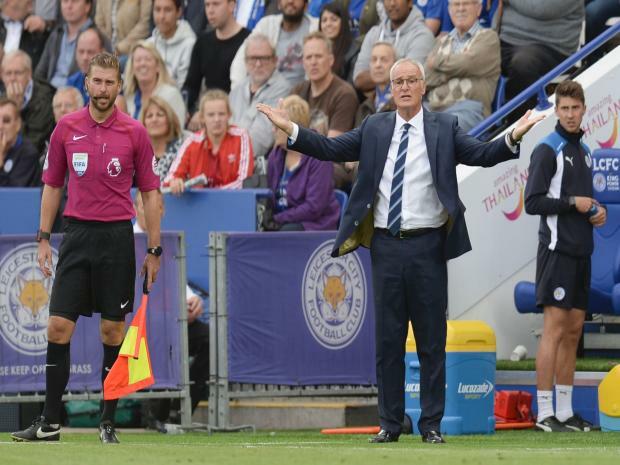 Ranieri won just three of the 17 games managed by him at Fulham. Portuguese champions FC Porto would be hoping to overturn a first-leg deficit against Italian Serie A giants AS Roma in their quest to reach the last eight of this season’s Champions League. The former winners host their Italian opponents at the Estadio Dragao with the hope of sealing a quarterfinal spot ahead of Roma who are more experienced in the competition in recent times after reaching the last four in the last campaign. Italian capital club AS Roma were the surprise team of last season following their run to the semifinals before they were beaten by Liverpool on aggregate in their semifinal tie. AS Roma would at least be targeting a repeat of last season’s feat in the competition and to achieve this, they have to see off FC Porto. The Italians have a 2-1 lead from their home leg following the brilliance of young Italian midfielder Nicolo Zaniolo who scored two goals to seal a win over the Portuguese team at home. It was FC Porto’s first defeat of the competition. A lone-goal victory will be enough for FC Porto who have a winning odds of 2.04 according to Bet9ja. A stalemate between both teams and an AS Roma is at the same odds of 3.60. The agent of Italian Serie A outfit AS Roma youngster Nicolo Zaniolo has spoken on the alleged interest in his client by the English Premier League outfit Arsenal. The North London side are reported to be keen on Nicolo Zaniolo and are already preparing an offer to land him before the end of this winter transfer window. However, Nicolo Zaniolo’s representative has dismissed the report by claiming that the young attacking midfielder is happy at the Italian Serie A outfit and will go ahead to sign a new deal at the club as talks have already been initiated. The representative also admits that there has been interests from North London side as well as from Spanish La Liga outfit Real Madrid but there have not been any talks with any of the suitors. He added that the situation with the player at Rome is positive and will not need any move away because “everything will be alright”. However, Nicolo Zaniolo is a former Inter Milan player who already has big experience of the Italian Serie A and might not be interested in a move away from Italy as he has established himself already in the team as one of the best. English Premier League outfit Arsenal are reported to have held talks with Italian Serie A outfit AS Roma in a bid to secure the signature of their youngster Nicolo Zaniolo this winter transfer window. The North London side are seeking for a number of options in the middle as they seem to be lacking in quality and numbers in that position at the moment. Wales international Aaron Ramsey will most defiantly be leaving the Emirates Stadium at the end of the season to Italian Serie A outfit Juventus as a free player after failing o agree on new terms with the Gunners management. Also, the Gunners are having a short knowing that Germany international, Mesut Ozil has not been impressive so far this season and has been relegated to the bench rather than contributing as the highest paid player of the club. Nicolo Zaniolo has been tipped to bring a long lasting solution to the Gunners problem it eh midfield should he agree on a switch if talks between both parties go as planned. The star midfielder joined the Serie A outfit for a fee of about £5 million which hints that he could be secured for a double £10 million knowing his contribution to his AS Roma side. Liverpool bid £70million for Alisson Becker. Rumours have gone rival about Liverpool reaching an agreement with Italian club, Roma, over it goalkeeper, Alisson Becker. According to the report, it stated that the Reds had reached an agreement worth £70 million for the Brazil international. Had the deal materialized, Alisson Becker would have gone ahead to be named the most expensive Goalkeeper in the world. Liverpool had shown interest in the goalkeeper as they wanted to sign him as a replacement for Loris Karius, who had made Liverpool lose the UEFA trophy to Spanish side, Real Madrid. In a recent statement, the Reds via it various media outfit had come out to refute the claim that it has reached an agreement with Roma worth £70 million. Even if Liverpool had that huge amount, they will have to compete against Chelsea, which is also out to secure the goalkeeper to it side following Thibaut Courtois decision to leave the club for Real Madrid. The whole story was muddled up after Alisson’s agent had like an Instagram post which signifies that he was about to tell Roma about the deal. In other news, Alisson Becker is one of the most sorted after goalkeeper in the world. 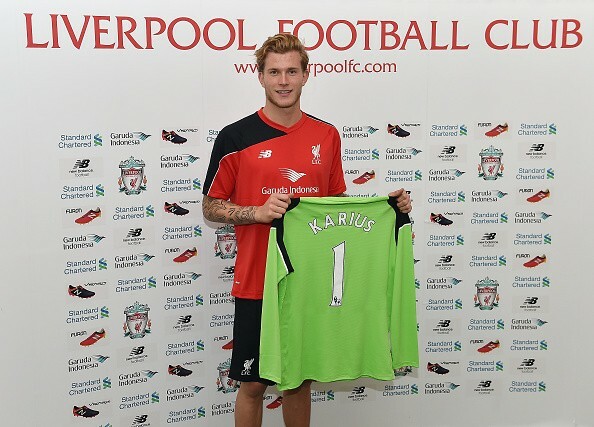 Former Liverpool player Steve Nicol is adamant that the Champions League beaten finalists won’t sell goalkeeper Loris Karius this summer transfer window. According to reports, the Merseysider’s are in the lookout for a new goalkeeper in the summer window following another hard campaign for the two shot-stoppers. The Germany international safe hand has been the Reds No.1 in the second stanza of the 2017/2018 English Premier League season. Loris Karius made two huge errors in Real Madrid’s 3-1 victory against the Reds in the UEFA Champions League final last month in Kiev. Both Mignolet and Karius have heavily struggled to convince the technical crew and fans alike when given the opportunity to play in manager Jurgen Klopp’s starting line up. 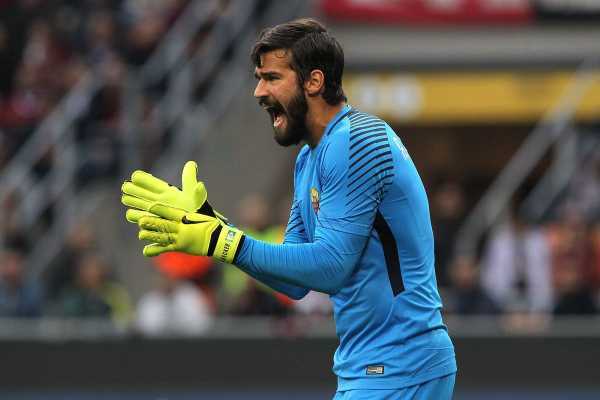 The Merseysider’s have been strongly linked with a possible swoop to land Brazil international goalkeeper Alisson Becker from AS Roma. Atletico Madrid goalie Jan Oblak and Stoke safe hand Jack Butland have also been heavily linked with the club. The former Liverpool defender doesn’t feel Liverpool will sell the shot-stopper despite his terrible error in last month’s UEFA Champions League final. The Reds are in the fourth position on the Premier League log and finished five points ahead of former Champions Chelsea in the English topflight League table. Eden Hazard has named Belgium international duo of Radja Nainggolan and Kevin De Bruyne as the two players he’d want to see complete moves to Stamford Bridge. The 27-year-old forward sat down for a talk with Copa 90 and was quizzed which of his national team-mates he’d love to play alongside at the West London club. Eden Hazard’s first reply was Manchester City attacking midfielder De Bruyne, only to be informed to pick another player as the creative midfielder has already played for the side before being offloaded in the 2013/14 campaign. Roma star Nainggolan was mentioned next by Eden Hazard, with the hard-tackling midfielder showing to the world that he is one of the best in Europe in his role in recent seasons. Blues fans would certainly agree that either of the two would be fantastic buys for Chelsea, even if it’s a bit unrealistic, particularly attacker De Bruyne due to him now on the cards of their biggest league rivals and sealing himself as one of the clubs most important players. 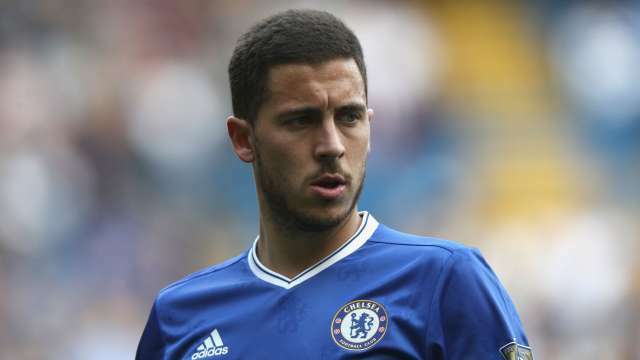 Chelsea forward Hazard also talked Belgium’s FIFA World Cup encounter with the Three Lions of England in the summer and his admiration for legendary Frenchman Zinedine Zidane, seen as one of the best players of all time and now head coach of La Liga giants Real Madrid.